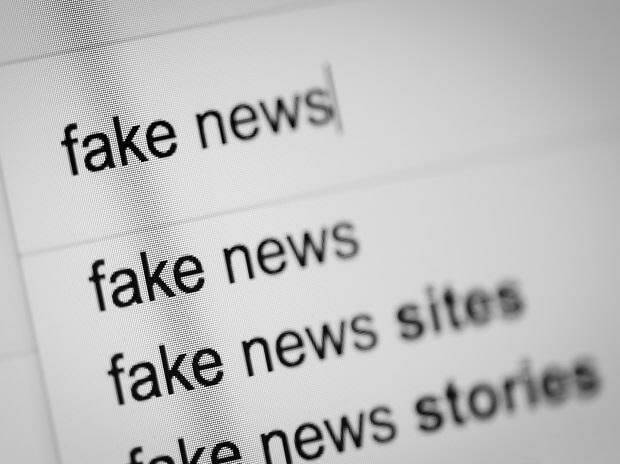 Facebook, Google, Twitter, TikTok, ShareChat, and industry association agree to foil false information themselves. The Election Commission has asked social media and internet companies to frame their own code of ethics on the lines of its Model Code of Conduct as it cracks down false information during the 2019 Lok Sabha elections. In a meeting on Tuesday, representatives from Facebook, Google, Twitter, TikTok, ShareChat, and others and the industry body, Internet and Mobile Association of India, the commission they will come up with a ‘Code of Ethics’ for the Industry laying down operational details by Wednesday evening, when they are slated to meet again. The companies and IAMAI told the commission what they were doing to prevent spread of misinformation and fake news, and to ensure that the Model Code of Conduct isn’t breached online. “All platforms and industry association IAMAI were asked to make presentations explaining what they are doing to prevent abuse of platforms during elections,” said a representative of one of the companies present in the meeting. The attendees for Tuesday’s meetings included IAMAI president Subho Ray, Facebook India policy head Shivnath Thukral, Google’s public policy team, Sharechat’s public policy director Berges Malu, and representatives from Twitter and TikTok. Chief Election Commissioner Sunil Arora, Election Commissioners Ashok Lavasa and Sushil Chandra, as well as other officers attended the meeting. “Arora exhorted the Social Media Organizations, who are formidable force-multipliers, to come up with a similar Code for the ongoing election process in the immediate context and a lasting document in the long run,” said an official statement from EC after the meeting. “IAMAI and Social Media intermediaries willingly agreed to come up with a ‘Code of Ethics’ for the Industry laying down operational details by tomorrow evening,” it added. At the meeting, Lavasa suggested that a clear clause on users' voluntarily agreeing not to misuse social media platforms for election or political purposes should be considered by the companies. Sushil Chandra said that deterrents like some punitive action against users misusing the platform should be considered pro-actively. “The meeting was centered on discussing issues like appointment of dedicated grievance channel for expeditious action by the organizations, pre- certification and transparency in expenditure of political advertisements,” the statement said. The commission has been serious about cracking down on the issue of fake news and misinformation in the run up to elections, which are scheduled to begin on April 11. There have been efforts to bring about changes in the law relating to content takedown on these platforms, but the proposals have not been finalised yet. The Parliamentary Committee on Information Technology has also held meetings with senior global executives at Twitter and Facebook in the past month. Post the revelations of data analytics firm Cambridge Analytica’s use of Facebook data to influence elections in the US and the outcome of Brexit, social media platforms have been facing increased scrutiny in most parts of the world. The Indian industry body representing big technology companies like Google, Facebook and Twitter and the Internet and Mobile Association of India had told Business Standard earlier that it will train state election commission officers as well as work with members who will take down content that is flagged through a legal notice. EC and IAMAI are together working on formulating a code of ethics for intermediary online platforms, of which the most notable are social media firms. In an interview earlier this month, Lavasa had stressed that dealing with social media will be the biggest challenge that the commission faces.